Click here to see course dates and fees. Once we have received your enrolment form, we will invite you for an interview and send you the pre-interview tasks which will be discussed during the interview. Interviews will take between 60 and 90 minutes. Local residents are expected to attend an interview in Rome. Applicants from other parts of Italy or abroad are required to do an interview via Skype. At the end of the interview you will be told if you are offered a place on the course. If so, we will let you think about it for a while by keeping your place for 48 hours. If you would like to take up the offer, you will need to send us the 400€ deposit within this time. We will reserve your spot on receipt of the deposit. You will receive the course confirmation and pre-course tasks by e-mail. The balance of course fees must be paid no later than 15 working days before the first day of the course or you may lose your place. Early bird fees must be paid 3 months before the course starts. Candidates should be 18 or over by the start of the course. All candidates need to demonstrate sufficient maturity and personal qualities to be able to complete the programme effectively. No previous teaching experience is required. Candidates have an awareness and competence in written and spoken English to enable them to follow the course. You can pay by PayPal, bank transfer or in cash at our office. Important: Please include your name and the course dates in case of wire transfers. All bank charges have to be paid by the student. Should you wish to pay by PayPal we add a 4 % to the total amount payable. The balance of course fees must be paid no later than 15 working days before the first day of the course. Should the balance not reach us on time you will automatically be placed on a reserve list and risk losing your place if someone pays in full before you do. There will be no right to a refund of your deposit. A. More than 4 weeks notice—no penalty. Your payment will be valid for a future course. The course must be completed within one year of its postponement. B. Less than 4 weeks notice—your original deposit of €400 must be paid again. The course must be completed within one year of its postponement. Students who start but do not finish their programme—0% refund. The fees cannot be used for a future course. If applying for the TEFL & Professional Development course – the full fee for both the TEFL & Professional Development course must be received before the enrolment documents for the visa application are supplied. If your visa is rejected, as long as proof of rejection is sent to us, we would refund full fees for the Professional Development Course but you will not receive a refund for the TEFL course as this can be completed on a travel visa. The place on any course and fees paid cannot be transferred to another person. TEFL in Italy cannot be held responsible for loss or theft of personal belongings. We reserve the right to cancel a course up to 2 weeks before the start date. In this case your full fees will be refunded (including deposit). A fee of €100 is applicable to any referred projects (if a project needs fails and needs to be remarked). The school reserves the right to cancel a course if forced to do so by unusual or unforeseeable circumstances beyond the control of the school (war, civil or political unrest, terrorist activity, natural or nuclear disaster, fire or adverse weather conditions, or other similar events beyond the control of the school). In this case your full fees will be refunded. 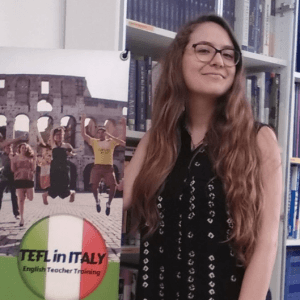 Before you enrol on our TEFL course, please note that the conditions for being granted a Visa include medical insurance covering your stay abroad, a residential address in Rome and the payment of the course. You can obtain information regarding Visa applications from the Italy Embassy in your country.